Exciting, ain’t it? 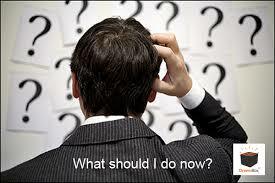 Starting your new business? You’re raring to go and the world is your lobster! Now, far be it from us to discourage you (in fact, we exist for the very opposite purpose!) but we do want you to go into things with eyes wide open so you can avoid the bear traps. In the euphoria of taking your first steps of your empire, it’s really easy to overlook some of the housekeeping issues that you really need to know. We won’t give you all the answers here, but we will signpost you to www.gov.uk so you can search on their info and find the answers you need. You can also contact your local growth hub (in this case, Stoke & Staffs Growth Hub or Greater Birmingham & Solihull Growth Hub – see Google) or even your local council. Do you need to register? Well, if your turnover (what you sell) is less than £83,000, you don’t have to register, which means you don’t have to do quarterly VAT returns or worry about which scheme to go on (there is a big choice!). The downside is that if you’re buying supplies from another business, you’ll have to pay the VAT and can’t claim that 20% back. Now, that can be a game changer in terms of your profit. So, what to do? Well, largely depends on whether you’re going to be selling to other businesses or consumers (members of the public). It can make a massive difference to your pricing structure, so be clear about what you’re going to be doing. You can seek advice from any of the sources above, or save up your questions for our FREE 2-day business planning courses in the West Midlands (see below for details). Did you know that the minimum wage changes from April 1st 2017? Did you know that it depends on the age of the person you’re employing? Did you know there are national insurance breaks and benefits if you employ an apprentice of a certain age? No? Then tap into one of the resources above for FREE info. Did you know you might have to pay into a pension for any people you employ? Do you know the difference if you’re a director? Did you know that as a director you’re still an employee, but that the pension rules are different? Planning on taking up retail premises? Do you know your obligations in terms of accessibility for people with disabilities under the DDA (Disability Discrimination Act)? Do you know your duties and exemptions? You might hold personal prejudices – don’t be alarmed, we all do! For example, you might hold a prejudice against semolina or all things purple! What’s important, is that you leave those prejudices at home and don’t bring them to the workplace. How do you do that? You have a written Equality & Diversity policy (you can find these for free on the internet). It sets out your stall to say that you don’t and won’t treat people differently – that you treat them all the same, irrespective of race, colour, creed, sexuality, gender, age or disability. And remember, that to do otherwise, would be a criminal offence. What’s more, it gives you and anyone working with / for you a code of conduct that you can all adhere to. If you decide to set up a limited company, you only need ONE director. You don’t need a separate company secretary. You MUST complete your Annual Return (now changed since 2017) every year, and you must submit your accounts by 31st December each year. This is different from the deadline for your self assessment tax return. You MUST have Employers’ Liability insurance and it is very wise to have product and public liability; quite often, these three can be wound up together in one policy. Ignore them at your peril but DO shop around and don’t accept the first quote. There are many ways of searching online in the same way you might for personal insurance. If you spend a portion of your time working from home, you can claim for this against your tax return (use of premises). Ask your accountant or HMRC about rates for this (it’s based on the percentage of your home you use for work purposes). Anything you spend that is legitimate for your business can be claimed back against your tax; i.e. you won’t pay tax on the amount you’ve spent and, if VAT registered, you can also claim back the VAT. Again, Gov.uk has great advice on this, as does @businessgov on Twitter. If you have to buy specialist clothing or protective equipment (PPE) you can claim against these on your tax. So, if you need to buy masks, steel toe-capped boots, overalls and the like, keep your receipts! Sadly, this doesn’t apply to buying a business suit! Keep accurate records of your expenditure and income. If you can do it on a spreadsheet, do so; ideally by month. Keep on top of things and get an expandable file with one month for each set of receipts. Unless you’re a whizz with accounts, it’s advisable to employ an accountant. They can save you lots of money in terms of your tax, and their fee is usually well worth the money. For sole traders, fees can be as low as £400 per year, even less in some areas. Supported by the Greater Birmingham & Solihull Growth Hub and Stoke & Staffordshire Growth Hub, funded by ERDF.